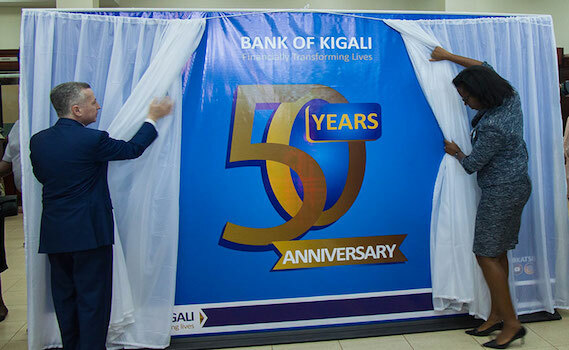 Board cChairman of Bank of Kigali Marc Holtzman (L) and Dr Diane Karusisi, CEO, unveil the new Bank of Kigali logo to mark their 50th anniversary. The long waited news has come. 50 winners in the BK Urumuri Initiative, in partnership with Inkomoko, will be unveiled today at Hiltop Hotel in Remera, Kigali City. The fifty winners represent the most innovative projects or business ideas that were picked from over 350 applications that were received, the Bank announced yesterday. Also, the fifty winners will be admitted into an eight-month BK Sponsored ‘business management best practice training program’ to arm them with competences of managing their businesses. “The best five performers in the boot camp shall benefit from Rwf60million interest-free loan from Bank of Kigali, to finance their project, at the end of the training,” the bank’s publicist, Kenethe Agutamba, said in an email. In celebration of its 50th Anniversary, Bank of Kigali on March 7, 2017 unveiled the ‘BK Urumuri Initiative’ with the objective of supporting innovative start-ups that have the potential to grow into industry front-runners and drive Rwanda’s growth over the next 50 years. The Urumuri Initiative, launched in March, is part of Bank of Kigali’s own Corporate Social Responsibility (CSR) input to support government’s efforts of creating 200, 000 jobs per year. 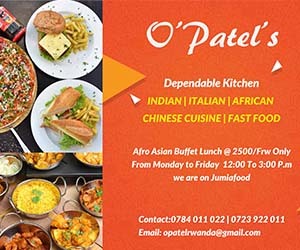 Meanwhile, to be eligible startups were supposed be Rwandan, had to integrate technology into their solution, and able to demonstrate potential financial sustainability and profitability. Applicants were also not supposed to have revenues in excess of RWF200 million (US$242,000).